Fantasizing about a barefoot-on-the-beach stroll along a beautiful beach? Day-dreaming kayaking off the sand and into calm clear water, or snorkeling amid the colorful fish and playful sea turtles? 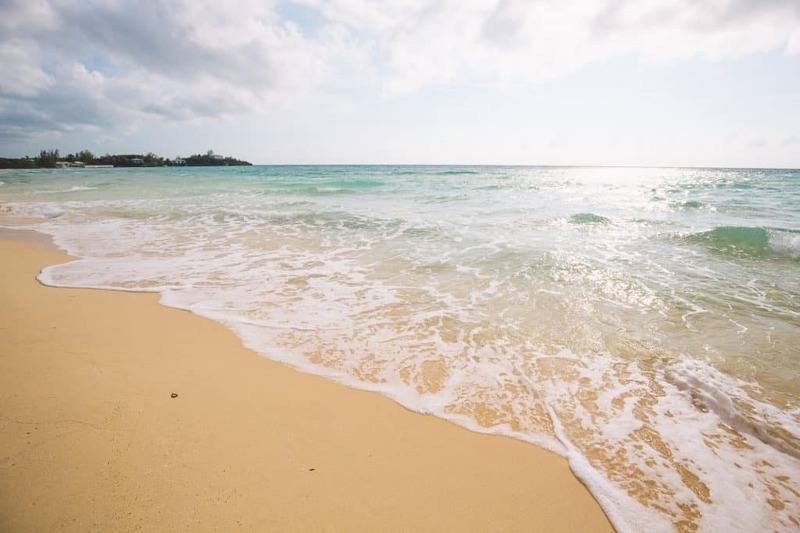 Maybe your idea of paradise is simply having the time to settle onto a secluded stretch of warm pink sand during your secluded beach vacation and stare at the ocean until all your stress melts away. Whatever you’re looking for in a beautiful beach vacation, The Bahamas has a special spot waiting for you. Seven hundred Caribbean islands and each one of them surrounded by clear blue water: Is it any wonder that The Bahamas contain some of the most beautiful beaches in the world. 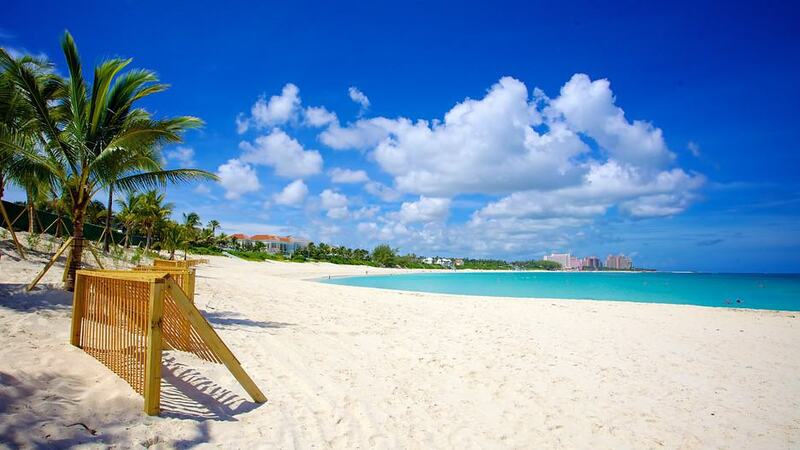 The Bahamas are known for their stellar beaches. With over 2,000 breathtaking islands and cays, and the clearest water on Earth, it’s no wonder visitors come from all around to sink their toes into miles of white, and in some places pink, sand. 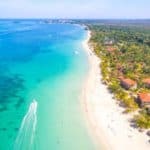 Many of the beaches have been voted “best in the world” by numerous publications, and it’s not uncommon to find a celebrity or two strolling along our shores. In short, the beaches you’ll find in The Bahamas are the very definition of paradise. Here I will share the best beaches in The Bahamas. Visit our Bahamas Travel page to plan your beach vacation to the Bahamas. With a beautiful mix of boutique hotels, luxury resorts, gorgeous beaches, championship golf courses, and some of the friendliest people in the world, Grand Bahama Island is one of the most popular islands in The Bahamas. Located just 55 miles east of Florida, Grand Bahama Island is nestled among miles upon miles of powder-white sands, nature preserves and emerald-green seas. Our variety of cultural experiences and natural wonders makes Grand Bahama Island ideal for everything from kayaking, dolphin watching and eco-adventures to jeep safaris, scuba diving and bike tours. Visit our Grand Bahama Island travel to plan your vacation to Grand Bahama Island. 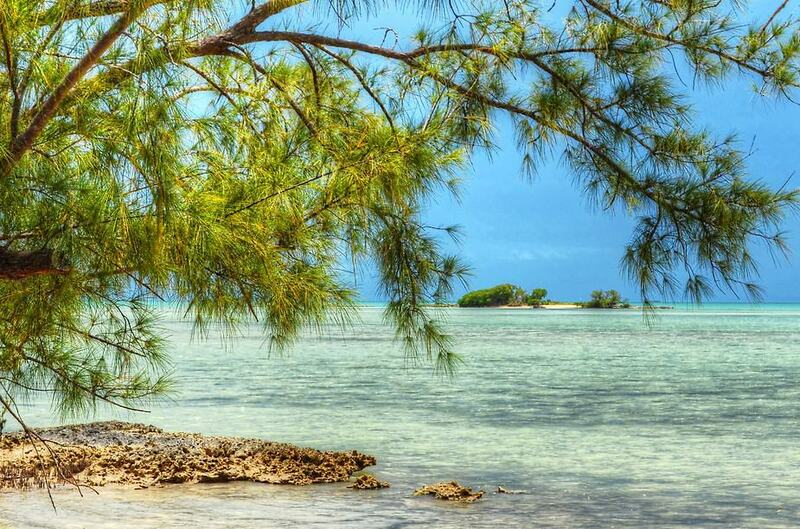 If not the most exotic beach on Grand Bahama, this is definitely the most secluded. Located east of the Grand Lucayan Waterway, Barbary Beach is known for its wide variety of shells and peaceful ambiance. A great place to get away from it all and enjoy the varied landscapes that nature provides. Since this wide stretch of sand is protected by jetties, you can sprawl out without worrying about the tides. Nearby hidden drives through the forest make ideal secluded picnic spots – just be sure to bring some bug spray. Visitors will likely stumble upon large conch shells that make excellent souvenirs. Visit our Grand Bahama Island travel to plan your vacation to Grand Bahama Island. The island’s most popular tourist beach, Lucayan Beach is located across from the bustling Port Lucaya Marketplace. Water activities of all types can be found here including jet skiing and parasailing. 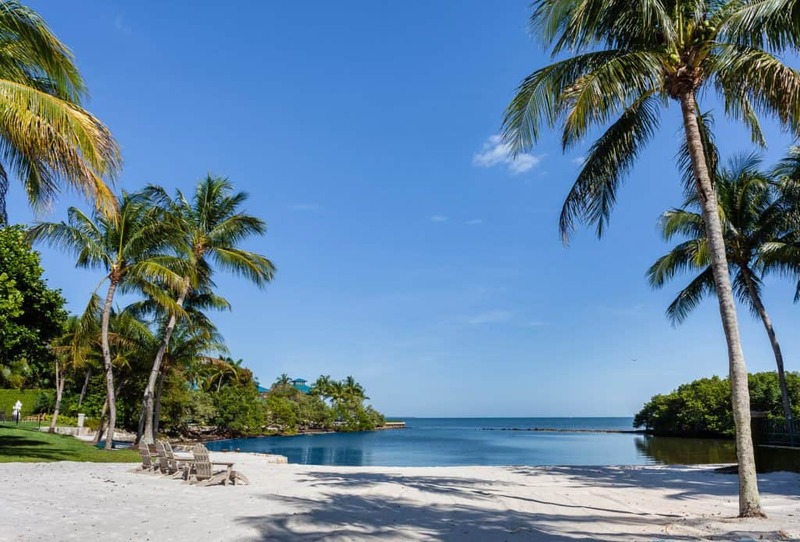 This is also a great place to take a nice long walk or to interact with the party scene, and several restaurants and bars – both on and off the sand – can be found. Quiet it isn’t: so expect to be asked to get your hair braided or sign up for a tour of some kind. If you keep walking to the left, you’ll find less crowded spots for sunbathing. Visit our Grand Bahama Island travel to plan your vacation to Grand Bahama Island. Taino Beach is an active place! Several restaurants are located here, as well as a hodge podge of water sports, straw goods and hair braiding. This is a favorite place for families. Head down further to the Fish Fry area and the sands are much quieter during the day, with beach festivities on Wednesday nights. Not to mention, the Fish Fry is home to a scattering of beach-shack restaurants (like Tony Macaronis) with amazing local cuisine and tropical cocktails. 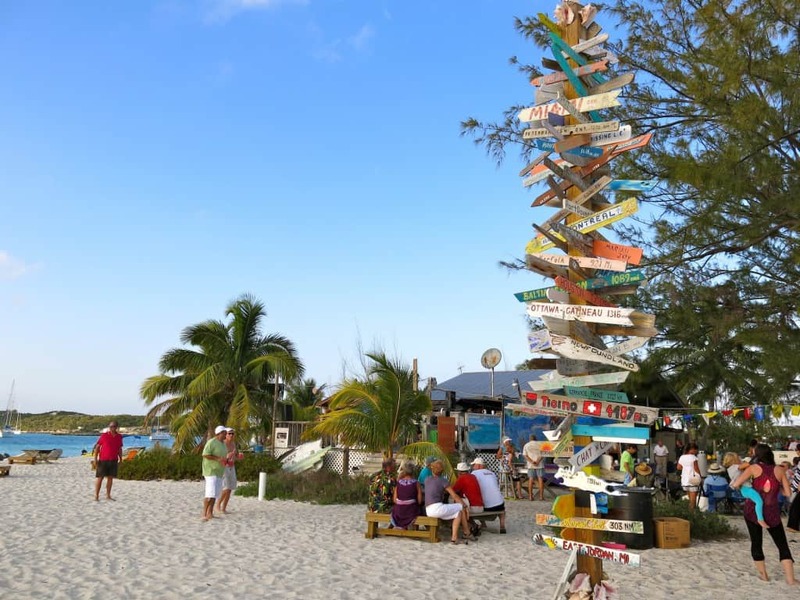 Taino is a few minute’s drive (or bus ride) from Port Lucaya Marketplace, so it is a convenient destination for those staying at Lucaya’s hotels. Visit our Grand Bahama Island travel to plan your vacation to Grand Bahama Island. visit The Abacos. Calm waters, warm breezes and panoramic beauty make this 120-mile–long chain of islands a boating and sailing paradise. But it’s not just the sea that attracts travelers from around the world. 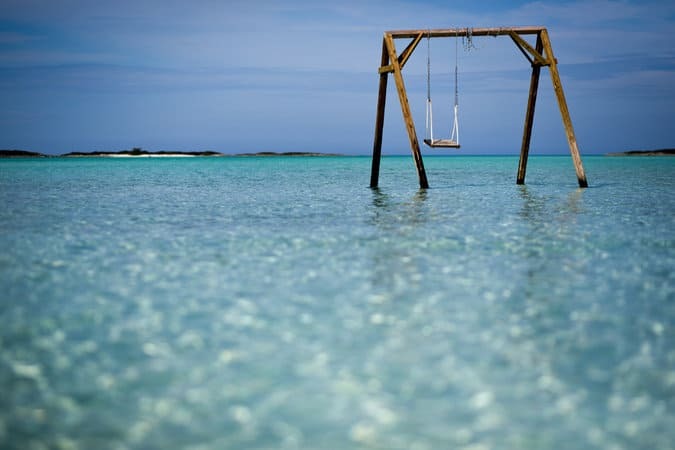 Those who prefer to explore by land will find championship golf courses on Treasure Cay, charming colonial towns on Green Turtle and Elbow Cays, and countless hotels, restaurants and bars throughout The Abacos. Visit our Abacos Travel page to plan your beach vacation to the Abacos. Just south, on Elbow Cay, visitors in the know head to Tahiti Beach (accessible only on foot, bike or by boat), a secluded gem of soft white sand that arcs out into calm clear water ideal for swimming. You’re guaranteed to find a stretch of beach to call your own. Since this beach is so isolated at the far end of the island, you can be sure that only a handful of people will ever visit these cool waters and white sands. The crowds stay away because you can’t drive here; you have to walk or ride a bike along sand and gravel paths from Hope Town. You can also charter a boat to reach the beach — which isn’t too hard, since the Abacos are the country’s sailing capital. Visit our Abacos Travel page to plan your beach vacation to the Abacos. 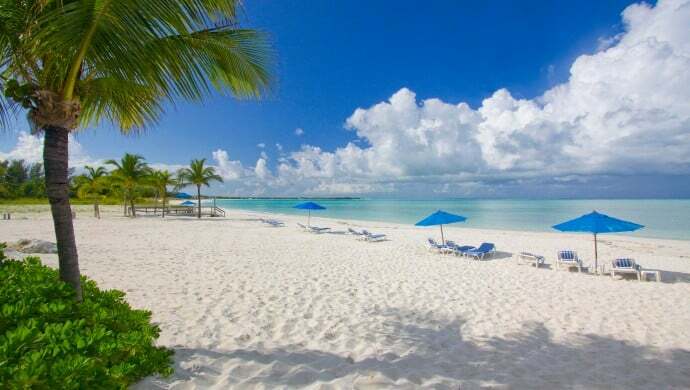 This renowned beach has some of the finest, whitest sand on earth fronting the brilliant turquoise of the Sea of Abaco. 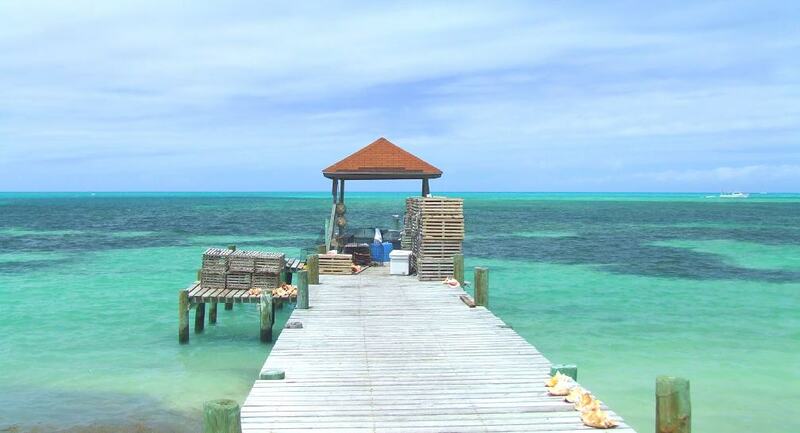 Treasure Cay also has a weather-protected, world-class marina. 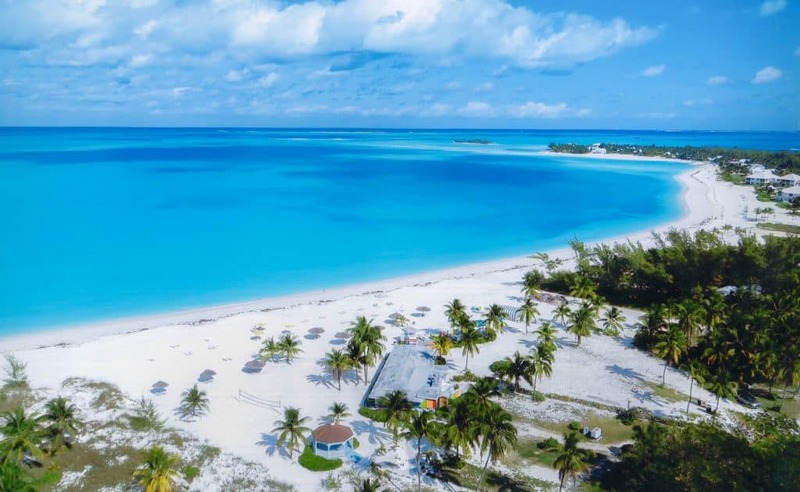 Treasure Cay’s private three-and-a-half mile pristine, ivory-white beach has been named “The Best Beach In The Bahamas” (Caribbean Travel and Life Magazine) and “One Of The 10 Best Beach In The World” (National Geographic). Visit our Abacos Travel page to plan your beach vacation to the Abacos. From endless pineapple fields to white- and pink-sand beaches to secluded coves and miles of coastlines, Eleuthera & Harbour Island define The Bahamas. Much of the architecture and way of life was influenced by British Loyalists who settled here in the 1700s. This style has since been adopted by the other Bahamian islands, making Eleuthera & Harbour Island the birthplace of the entire country. In addition, the islands continue to charm visitors with tropical flair, as Harbour Island is known as one of the best islands in the Caribbean. 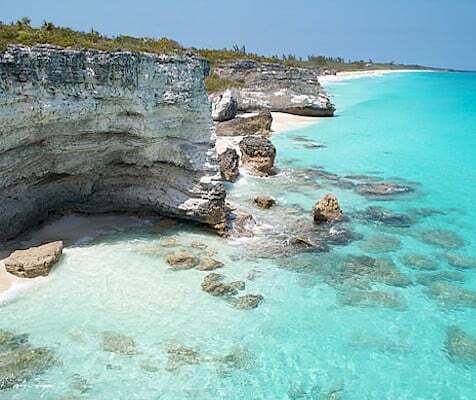 If you’re visiting The Bahamas, Eleuthera & Harbour Island are not to be missed. Visit our Abacos Travel page to plan your beach vacation to the Abacos. Ten Bay Beach lies a short drive south of Palmetto Point, just north of Savannah Sound. 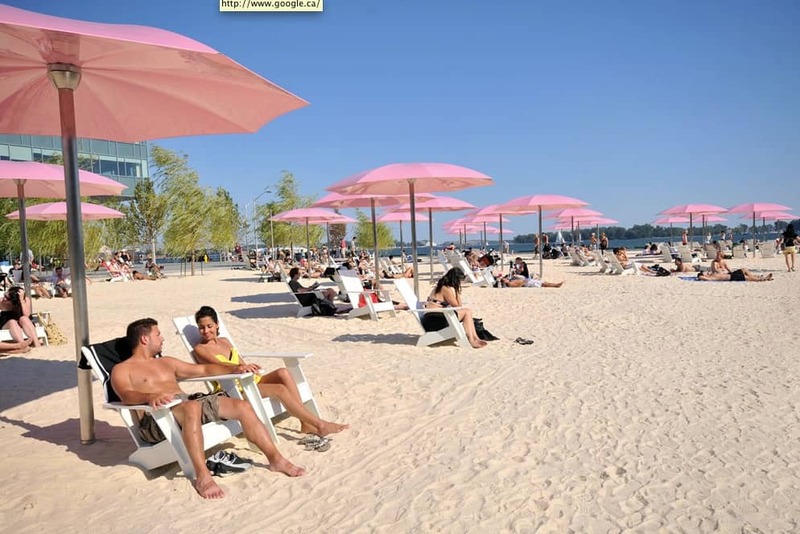 If you are looking for an elegant spot, Ten Bay Beach will pleasantly surprise you. Especially when the tide is low or when the sea on the Atlantic side is too rough. On mornings this beach is naturally shaded by large casuarina trees. The calm protected bay has a clean sandy bottom and is shallow for a long ways out. This really is a great place to go swimming. Or learn to snorkel here. Snorkeling is good at either end of the bay where it is rocky. Some cliffs overhang the water. Visit our Abacos Travel page to plan your beach vacation to the Abacos. 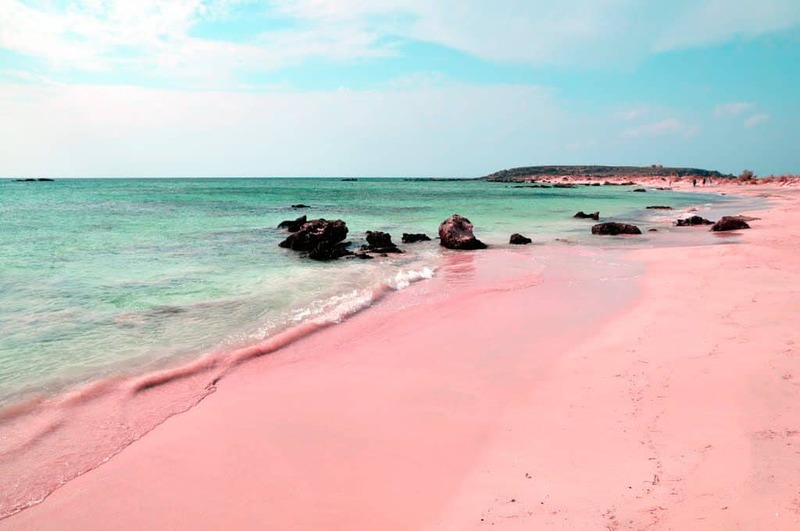 Pink Sands Beach is the place to go for natural beauty, elegant resorts and most importantly, three miles of perfectly pink sand and gentle waters. The ocean is ideal for swimming – warm throughout the year and generally calm, protected from the rolling waves of the Atlantic by a coral reef. The vibe is laid-back, and around the island you will find tourists mingling with the locals in a relaxed and friendly small-town manner. 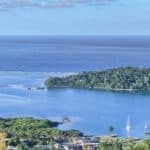 However, don’t mistake laid-back for rustic: the unique resorts and hotels offer privacy in tropical hideaways, ranging from the luxurious to the simply charming. 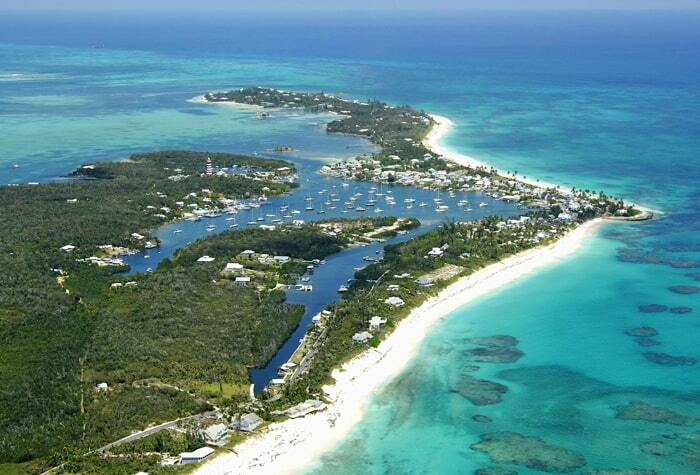 Visit our Abacos Travel page to plan your beach vacation to the Abacos. 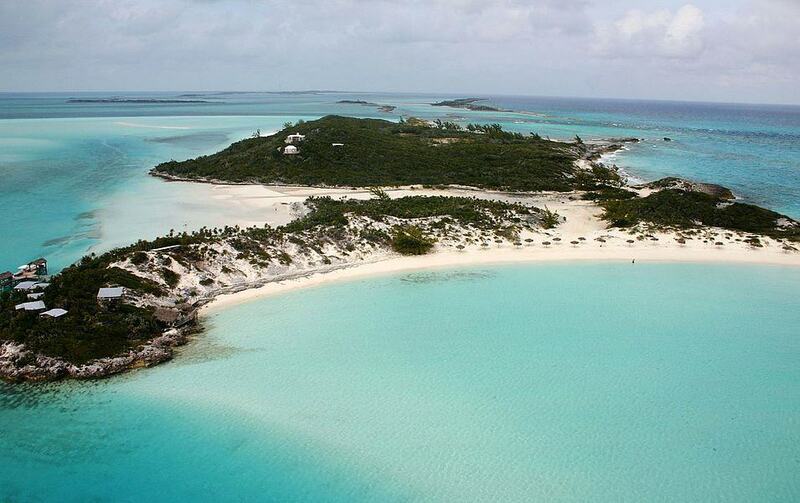 With sapphire-blue water everywhere, The Exumas are an exotic collection of dream destinations. Footprint-free beaches and ultraexclusive resorts and islands fit for celebrities make this tropical paradise an absolute gem. Here, nature outnumbers man, coastlines remain flawless and private homes play host to some of the world’s most famous stars. The Exumas truly are the ultimate escape. Bungalows tucked into a tropical landscape, chic villas so close to the ocean you can taste the salt water, branded 4-star boutique hotels and quaint Bahamian vacation rentals that welcome guests like long-time friends into their homes. This embodies the Out Islands of the Bahamas, where even the largest resorts have fewer than 200 rooms, and many have less than a dozen. Staying in the Out Islands of the Bahamas is an experience in and of itself. Visit The Exumas Travel Guide to plan your beach vacation to the Exumas. Most of the Exumas are oval-shaped islands strung end to end like links in a 209km (130-mile) chain. One notable exception is Saddle Cay, with its horseshoe-shaped curve near the Exumas’ northern tip. 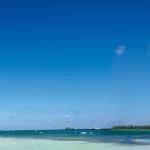 It can be reached only by boat but offers an unspoiled setting without a trace of the modern world — and plenty of other cays and islets where you can play Robinson Crusoe for a few hours, if you like. Visit The Exumas Travel Guide to plan your beach vacation to the Exumas. One of the finest white sandy beaches in The Bahamas lies off Elizabeth Harbor, the archipelago’s main harbor, which is close to the little capital of George Town on Great Exuma Island. You can reach Stocking Island easily by boat, and the sands of this offshore island are rarely crowded; snorkelers and divers love to explore its gin-clear waters. In addition to its beach of powdery white sand, the island is known for its blue holes, coral gardens, and undersea caves. The 4-mile-long island has only 10 inhabitants and is popular with surfers on the ocean side, and plenty of good snorkeling sites. Jacques Cousteau’s team is said to have traveled some 1,700 feet into Mystery Cave, a blue-hole grotto 70 feet beneath the island. Don’t miss Chat ‘N’ Chill, a lively open-air restaurant and bar right on the point. Volleyball games, board games under the trees, and the Conch Bar make for fun in the sun. The restaurant picks up guests at Government Dock on the hour. Stocking Island is the headquarters for the wildly popular George Town Cruising Regatta. Visit The Exumas Travel Guide to plan your beach vacation to the Exumas. 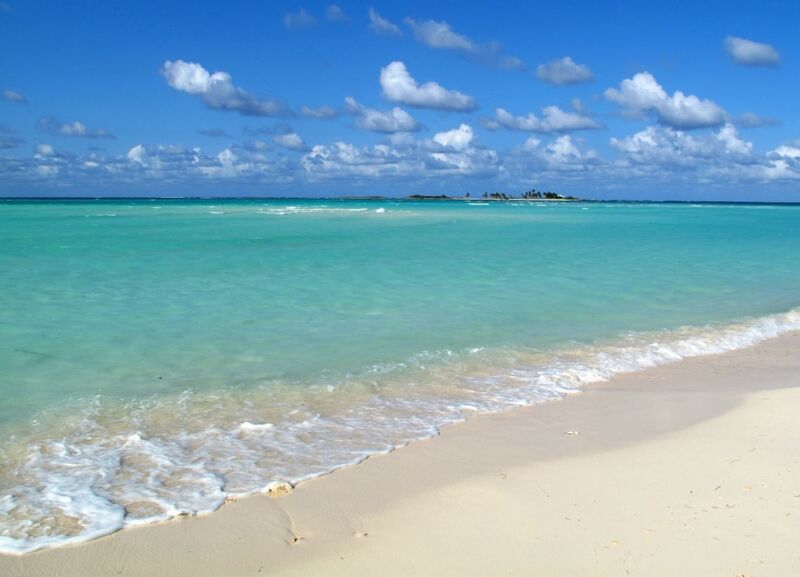 Located on the northern end of Great Exuma, this white-sand beach is dotted with beautiful palms. It is ideal for picnicking and most likely you will have the beach all to yourself. It is also well known for great shelling and sand dollars during low tide. 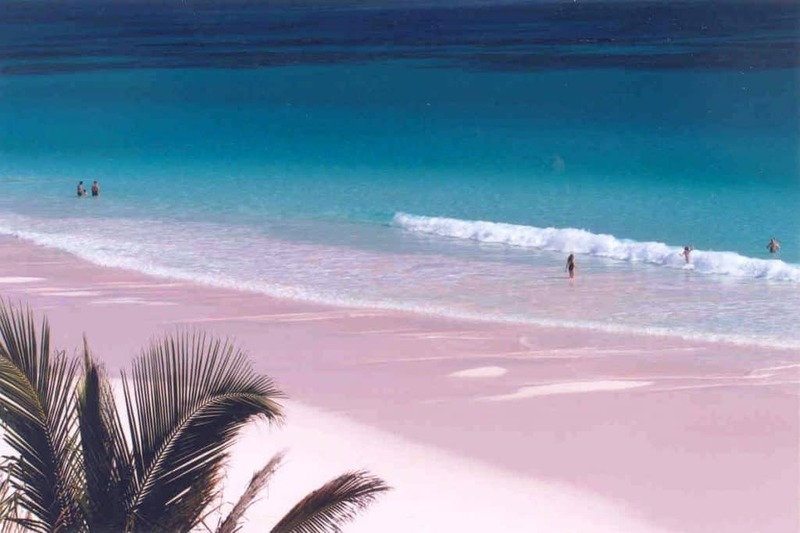 Visit The Exumas Travel Guide to plan your beach vacation to the Exumas. The white beaches ringing this island are pristine, opening onto crystal-clear waters and lined with coconut palms, palmettos, and casuarina trees — and best of all, you’ll practically have the place to yourself. One of our favorite beaches here, near Old Bight, has a beautiful, lazy curve of white sand. Another fabulous one lies 5km (3 miles) north of New Bight, at the Fernandez Bay Village resort. This one, set against another backdrop of casuarinas, is unusually tranquil. A good shoreline here is the long, sandy stretch that opens onto Hawk’s Nest Resort & Marina, on the southwestern side. None of the Cat Island beaches has any facilities (bring everything you need from your hotel), but they do offer peace, quiet, and seclusion. Visit our Cat Island Travel page to plan your beach vacation to Cat Island. 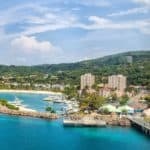 On the northeast coast of New Providence Island, the city of Nassau is the capital and commercial hub of the Bahamas and one of the most popular cruise ship ports in the Caribbean. Nassau Harbor, protected by Paradise Island, bustles with traffic, and several cruise ships at a time can dock at Prince George Wharf, disgorging waves of tourists into the city to explore its many attractions, both natural and urban. Pleasure seekers flock here from around the world to relax in the warm, tropical climate; bask on the creamy sands of Cable Beach; browse the duty-free downtown shops; and frolic in the glitzy, themed resorts. Despite the rampant development in recent times, Nassau is still steeped in colonial charm. Visitors can witness this old-world elegance in the city’s candy-colored colonial buildings, old forts, and grand hotels. Named one of the best in the world, Paradise Island’s Cabbage Beach fronts several of the big hotels including Atlantis, Hotel Riu Palace and One&Only Ocean Club. Public access is on Casino Drive next to Riu Palace. The beach itself is a beautiful, wide stretch of soft white sand spanning about two miles of coastline. Palms, sea grapes and Australian pines line the stretch along tame, clear, aquamarine waters. Small tiki structures provide shade. There are several places to rent water sports equipment, from jet skis to floats. Not surprisingly, it tends to be crowded and busy, more so at the western end. 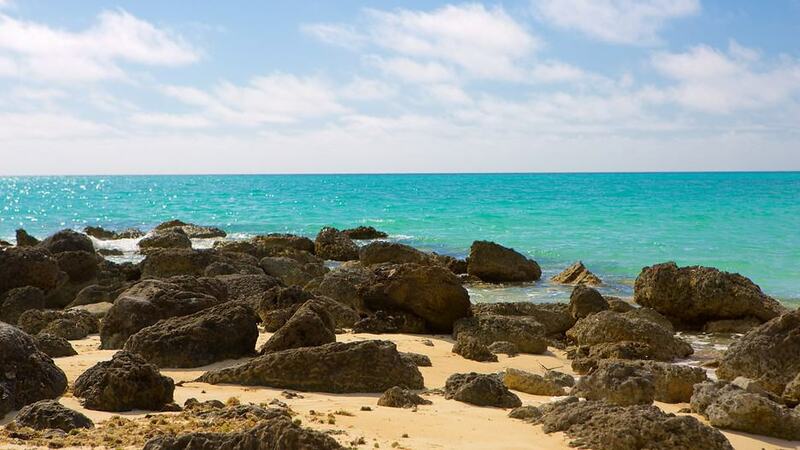 On the southern shore of New Providence Island in a quiet, unpretentious development called Coral Harbor, you will find access to the beach at the Coral Harbor resort. You are most welcome if you buy a Kalik or Bahama Mama or lunch from the beach bar. It is a lovely stretch of soft, talcum sand edged by Australian pines and palm trees. Take a long walk, have a dip in the clear and gently lapping sea, then climb into the hammock for a sea breeze cooled snooze. 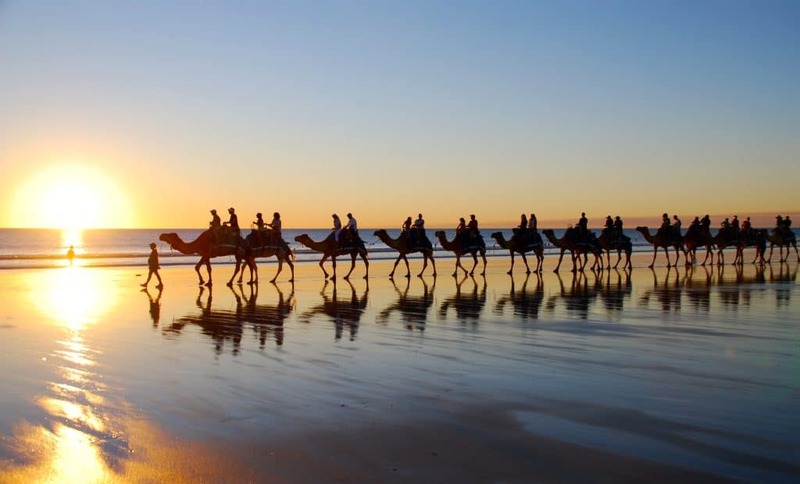 This is where a local stables conducts its beach horse back riding tour, so that is another way you can experience this stretch of undiscovered sands. Cable Beach isn’t the most picturesque waterfront on the Bahamas, but it is well-stocked. Located between Nassau and the airport along New Providence’s north coast, the stretch of beach is near golf courses, casinos and restaurants. Travelers are also plenty pleased with the view, not to mention the white sand and crystal clear waters. Given the beachfront accomodations and restaurants, Cable Beach tends to fill up quickly — be prepared for crowds. If you’re staying elsewhere in the Bahamas, Cable Beach isn’t worth a special trip. But if you’re looking for lodging near Nassau, you should definitely consider a Cable Beach hotel. You’ll have affordable restaurants, casinos and nightlife opportunities nearby, and you’ll be able to quickly hop to other New Providence sites. Miles of secluded swim-ashore beaches, invigorating dive sites, and championship sport fishing are just a few of the highlights that make The Berry Islands a desired destination. Composed of a cluster of 30 cays, a majority of these islands are uninhabited. It’s not uncommon to stumble across a footprint-free beach or private cove. You could spend an entire day without seeing a single soul. The Berry Islands are also home to a number of cavern, reef, wall and wreck dive sites, as well as a 600-foot-wide blue hole, wonderful bill fishing, and ancient churches. Visit The Berry Islands travel page to plan your beach vacation to the Berry Islands. Sugar Beach, considered on of the prettiest places in The Bahamas, consists of numerous sandy coves set among cliffs, which are said to resemble the great Mediterranean beaches. There are also caves, an abundance of thatchberry trees and ruins. The shelling is excellent and, for the more adventurous, the creeks are filled with many species of wild life. Visit The Berry Islands travel page to plan your beach vacation to the Berry Islands. The Bahamas are a great place to travel too! I have been a couple times and looking at vacationing there again. Found your wonderful information, so now I will have an even better time! I am glad I could help you for your next vacation to the Bahamas. Have a wonderful time and if you need any further information, please don’t hesitate to ask. My husband and I have been thinking about taking a vacation in this area, and are definitely interested in the more secluded areas. Thanks so much for the advice and clear layout – this really helps! You are welcome Emily. You and your husband would have a dream vacation here for sure. Absolutely wonderful! WOW! 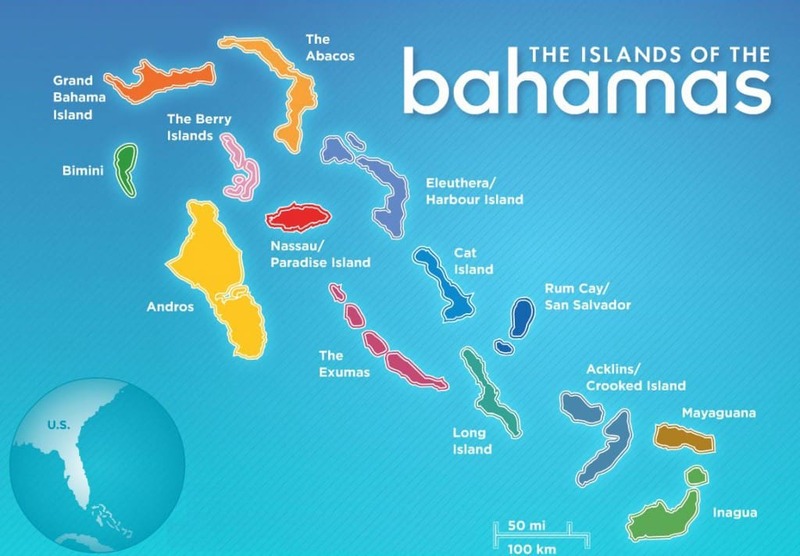 First all of all I didn’t realize there were THAT MANY islands in the Bahamas!!! OUCH how on earth to choose!!!!!??? Though I would have to admit that being on an island and seemingly the only one there would be really cool. Or being able to swim way out without the water being deep or seeing the blue holes….. I would have to see them all. Now if I could just win the lottery, a couple a thousand islands to explore is going to take me a very happy while!!! Thanks for all the great info! What! These beaches look like paradise. I wish I could go there now. The water looks so blue and warm. I need a vacation. Where else have you traveled to? I hope one day I can have the opportunity to travel the world. I feel couped up where i’m at. There is so much out there! Good luck to you. 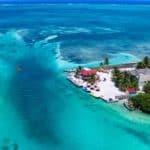 I have been to the Caribbean but never to the Bahamas.Reading your post has made me realize it should be in my to do plan. 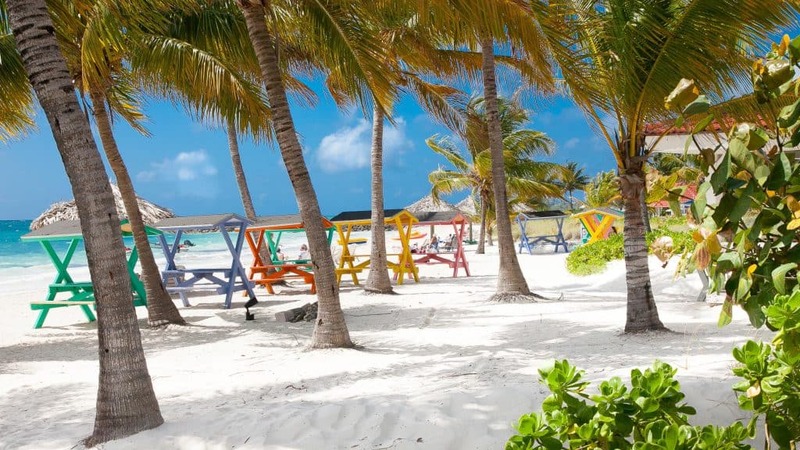 I had planned on going to the Dominican Republic this year but after reading your post, i must admit im tempted to change and go to the Bahamas, and it will be a plus since unlike going to the Dominican, i dont have to worry about language barrier. Thanks so much for this wonderful info. Great site I would love to go to the Islands it would be great to get a way to somewhere so pretty. I liked the pictures to I thought you did a good job capturing the beach scene. 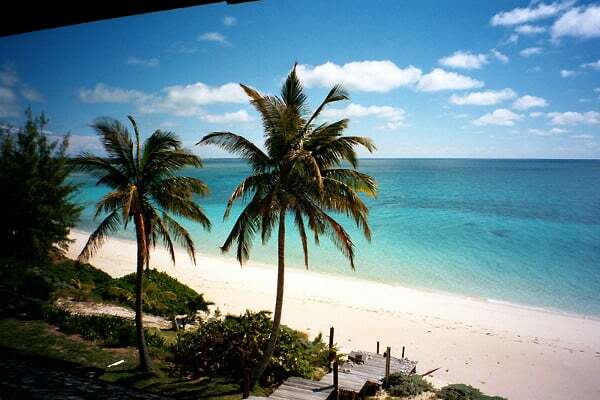 Anyone in there right mind would be more then ready to go have some relax time in the Bahamas. You really have a lot of choices here. I have never been to the Bahamas but my wife and I have added it to our bucket list. Pink Sands beach sounds like a unique option. I never new of a beach like this one before. Is there a time of year that is less crowded? What is the most affordable time of year to go to one of these beautiful beaches? Every time I am getting ready to go on vacation, I start researching for places that revolve around a nice beach. That is how I came across your website. It’s perfect, I get to see the differences between each one. I can stay the whole day at the beach, that is the reason why I need a restaurant close by. Thank you for sharing. This is lovely The pictures made me want to go there and sit under that umbrella on the beach. Is the water really that blue? Cat Island sounds like my dream holiday. It would be lovely to get away from the rat race for awhile and hide out on an almost deserted island. I don’t suppose there is one I can have to myself is there? Very appealing holiday destination. Yes, the water is that blue and yes, you could spend the day there and not see a soul! Wow! So beautiful! It is definitely on my list of places to visit!!! So many amazing beaches there and not enough time for holidays at the moment. Thanks for the great post! Bookmarked! 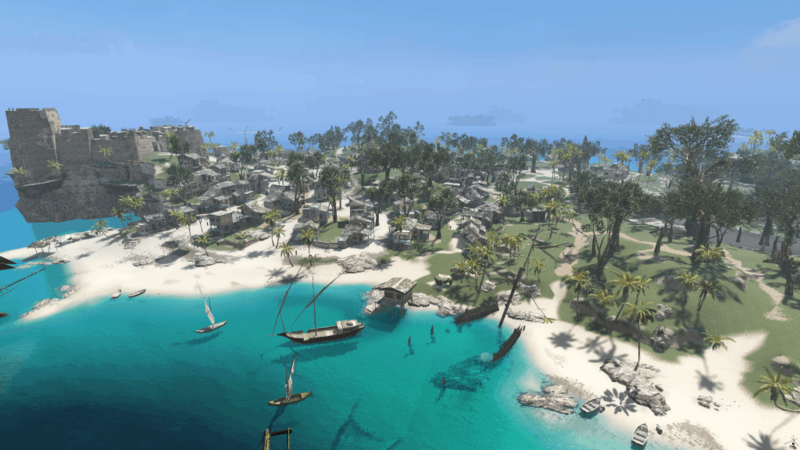 Great overview of the beaches! I’ll definitely take a look at this when planning my trip to the bahamas this june! And good job on the great site. It looks amazing. Wow just look at that white sand and the blue waters! It’s a little piece of heaven right there. All I can do right now is fantasize about it. It probably cost a fortune to get there but all worth it. Maybe I will win the lottery and go sooner than later but until then, I’ll be living it in my dreams. Thanks for the info, could come in handy in the future. I LOVE your layout!! 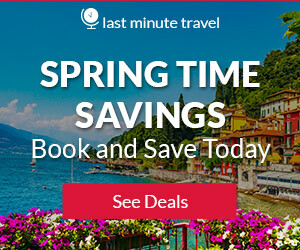 Your site looks very professional and you would almost think you were at one of the larger sites like Sell off vacations or Signature Vacations. Extremely well done! The pictures are crisp and bright, the information for all of the locations are well informed. It is a really great site and I am really happy that I got the chance to review it as I’m in the travel niche as well, but I am taking a slightly different approach – family travel. I really like how you have added in the travel gear which is always important and inquired about from veteran travellers. Keep up the great work and I look forward to seeing more of your work! Loved this post! Cat Islands sounds like the type of place I would go to and have to be forced to come back home haha. Do you really mean that you have the island to yourself or you do you just get a section of it? Also have you been to any of these places and if so which one/ones? me and my family have been trying to plan a vacation for summer 2k17 and all of these sound absolutely amazing! I have family that have been there. I REALLY want to. Yes, you do pretty much get the island to yourself. That is what is so awesome. You had me at “snorkeling!” I’ve never actually been snorkeling, but I KNOW I would love it. As a boy (probably before you were even born), I used to float on an inflated matt with swim goggles on, staring into the murky waters of our farm pond. But to be in crystal clear water with colorful fish and playful (I hope they’re playful!) sea turtles, WOW! A friend of mine just returned from a Caribbean stay, and his photos and stories reinforced everything you have said here. Just sitting on those beaches and staring at the incredible beauty of nature surrounding you must have an amazing restorative effect. 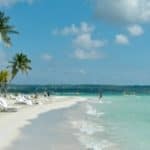 While reading your incredibly rich and detailed description of many sumptuous beaches in the Caribbean (700 beaches! Amazing! ), I realized that one of my absolute favorite fishing shows was set there. It was called “The Walker’s Cay Chronicles, and I do remember marveling at the beauty of the water and the variety of fish caught during the program. Not to mention the friendly townsfolk and delicious looking foods and drinks. You certainly paint a beautiful picture of these beaches with your words, and, to cap it all off, glamorous photographs. So, if you see an ex-farmboy floating past you, snorkeling with a huge smile on his face, be sure and say howdy! Thanks for the excellent dream vacation idea.